I’d like to say I took the picture. I’ve taken some great pictures in my day, but I think this one is a little too good and perfect. But I will tell you; I have stood at this very spot. It is as awesome as this picture looks. And it was at this moment; I loved what I did because I was able to stand there at that very moment and soak in an entirely different culture. And the Belgian beer. Seriously, the Westmal Triple. You have to have one before you die. Trust me. So, the title of this piece is “The Real Smell of Success” … so what does that mean exactly? It means whatever you define it to be. And I say that with a completely straight face. For me, it is travel. There is no better currency in the world. Now, I say travel not because I have the money to do it. I’ve always had the money, I just didn’t have anyone to go with and traveling on my own, which I wouldn’t have minded doing, is fine, but having someone to experience the moments with. That, to me, is happiness and success. I got my first passport at the age of 45. I’m not lying. Yep, 45. I’ve visited half the countries in Europe in the last five years, some multiple times. One country a half dozen. It is magical every time I go. The people, the food, the wine, the beer, the history, etc. It never gets old. I am proud to say I can order beer and wine in seven different languages, and I can also say “What a stupid American” in five different languages. It always gets approval from the locals when I say it, and a hearty laugh when they realize I’m in American as well. I’m not telling you how to live your life. No, that is a lie. I am absolutely going to do that. You can get that big house, the boat, the $100k car, etc. Or, you can slim down a bit. Drive a nice car that’s older. Rent the boat when you need it and get a couple of tickets a year to Europe with your significant other. See Stockholm. 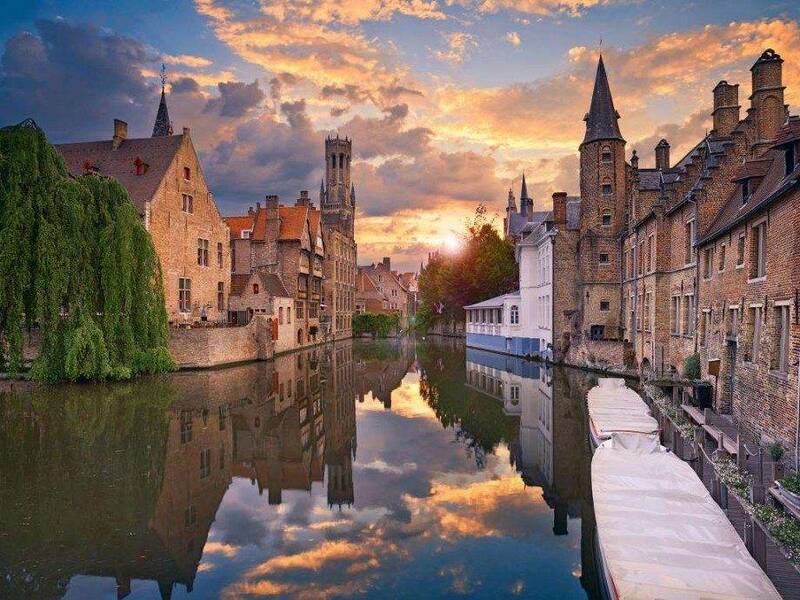 Hop over the Bruges and Ghent in Belgium. Krakow, Poland is the Cabo of Europe, as in, “if you go there once, you’ll be there twice,” Bologna in Italy, Bratislava, Slovakia, and Budapest. None are touristy; each has charm and intrigue. Make memories. Experience culture. Reward your hard work with an epic journey that you will want to take again and again as it is entirely addicting.